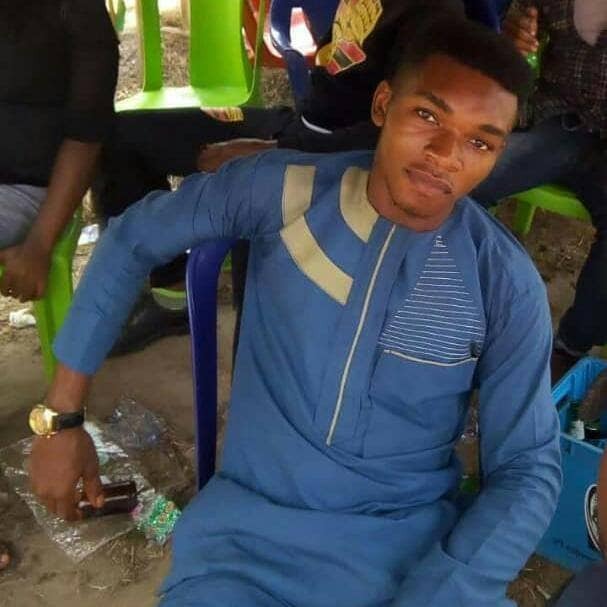 Friends and loved ones of a final year student of Michael Okpara University of Agriculture, Umudike, Abia state has been thrown into premature mourning after he killed himself by hanging. Loius Chigozirim Ihejirika was found death hanging on a rope, with doors and windows locked yesterday, According to reports worried friends who hadn’t heard from him had to break the window only to find him dead. Though the cause of the death is not ascertain yet, but they have been mourning him..
0 Response to "Sad! 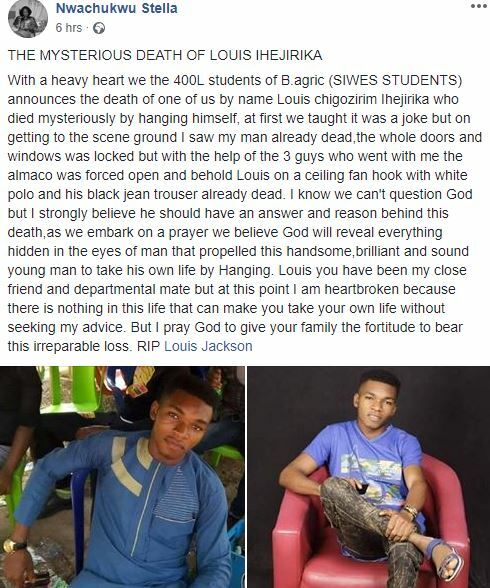 Young Handsome Final Year Student Hang Himself to Death in Abia state (Photos)"